Some residents of a renovated countryside village are cashing in on tourism, but others think the new look has created a rift. ZHEJIANG, East China — In the center of their home, Zhou Qundan and her husband, Lang Gengqiang, have decorated an entire wall with photographs. Most are what you’d expect: pictures of the couple’s wedding and family gatherings, vacation snapshots featuring lush rice paddies and verdant mountain ranges. Scattered among them, however, are several framed, low-resolution cellphone images of a black-clad man touring their hometown, Wencun. “That’s Wang Shu,” Zhou explains, smiling with admiration. Nobody took any notice in 2012 when the man arrived to inspect the village’s dilapidated 100-year-old buildings and more modern but inelegant concrete houses covered in white tiles. After several visits, however, the villagers learned that the mysterious man with a penchant for dressing in black was one of China’s most renowned architects. He had come to transform Wencun — their village of about 400 residents nestled between a creek and a small mountain range — into an architectural utopia of pastoral Chinese life. Today, the homes designed by Wang draw visitors from as far as Beijing and have been the subject of architecture magazine features, lectures, and thousands of photographs. From the village bridge, the freshly constructed limestone, wood, and rammed earth homes inspired by vernacular architecture appear noticeably different from their ramshackle neighbors, as though they belong to different villages — even different eras. 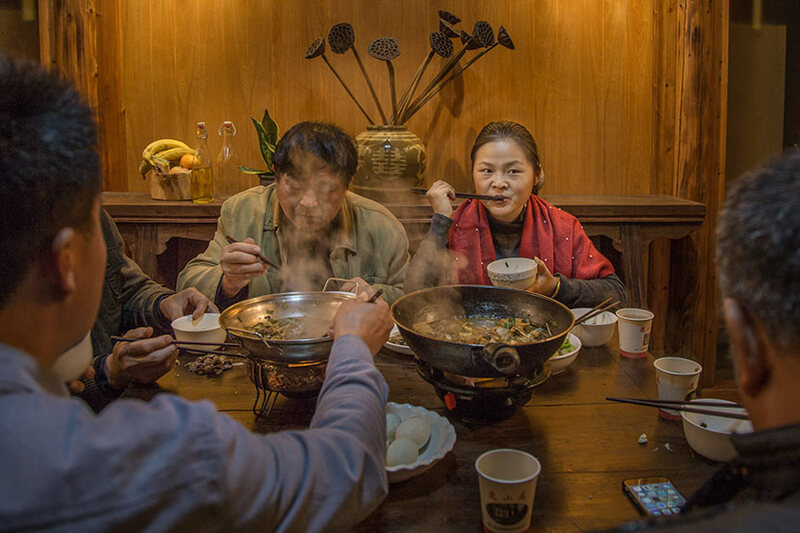 Some say the project is a rousing success: The new houses are more livable, and while most residents still grow vegetables and raise silkworms, a growing trickle of tourism has increased their incomes. But others say the project has divided the village, creating a rift between those with homes by the famous architect and those without. Nobody used to refer to the upper and lower villages before. Now, it’s clearly divided into two parts: renovated and not. In Wencun, Wang wanted to create a model for future villages that would rejuvenate the countryside — and, ultimately, save the Chinese soul. 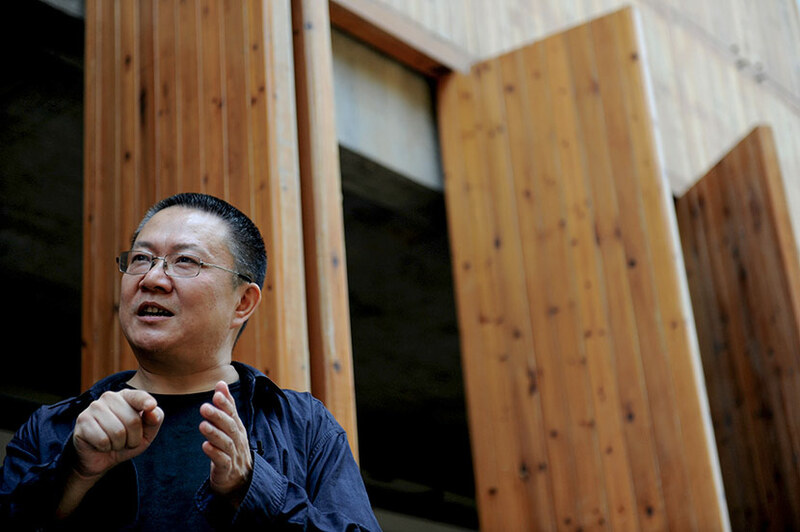 “If we want to maintain our Chinese cultural identity, there’s still a chance in the villages, where authenticity remains,” Wang, the first Chinese citizen to win the Pritzker Prize — the Nobel Prize for architects — tells Sixth Tone. 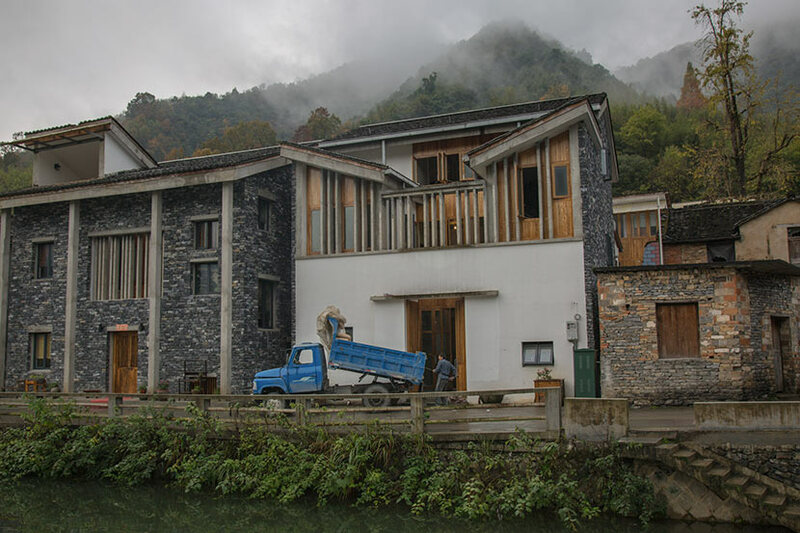 Wang and his wife, Lu Wenyu, the founders of Amateur Architecture Studio, knew their plan for the modest village would be a major undertaking, but it was also a personal passion. Wang, now 54, grew up in a Beijing hutong, the narrow alleyways lined with traditional courtyard residences that used to dominate the capital. In recent decades, most have been demolished — including his childhood home — to make room for more modern developments. Most of the nation’s cities, Wang says, have lost the essence of China, which is the reason he turned down a position at prestigious Tongji University that would have required him to teach and live in Shanghai. 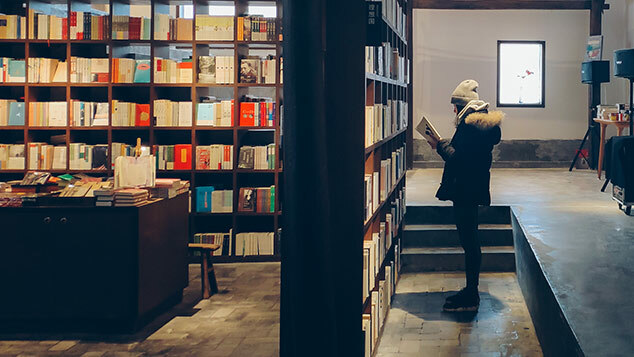 Instead, he teaches in an area he still considers “real China,” at the China Academy of Art in Hangzhou, the provincial capital of Zhejiang, where he designed an entire campus using traditional techniques. “In fact, moving to Hangzhou is me returning to China,” he says. 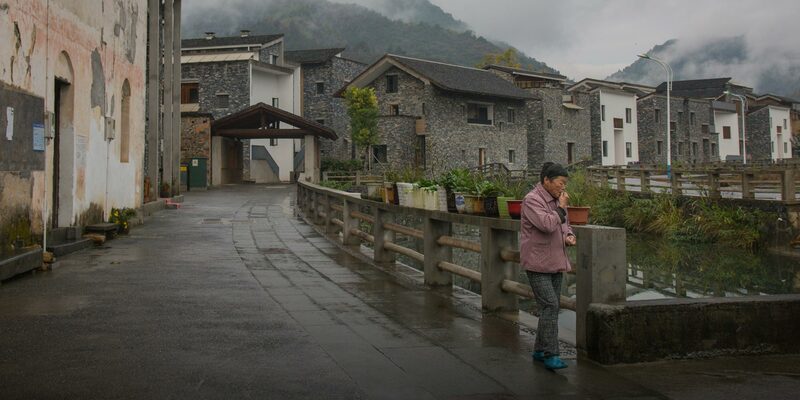 Many Chinese villages have ceased to exist entirely. Between 2000 and 2010, Tianjin University researchers found that the number of traditional villages in the country dropped by almost 1 million, from 3.6 million down to 2.7 million — equivalent to about 300 villages a day. In Zhejiang, too, villages have been gobbled up by infrastructure projects or abandoned as residents move to urban areas for better opportunities. China has seen a massive wave of urbanization over the past few decades, but it has come at the cost of intrinsically Chinese folk art, customs, traditions, and architecture. Wang became interested in this seismic shift and decided to conduct research along with his students. They found that only a tenth of the existing Zhejiang villages were under or slated for cultural protection, leaving around 27,000 villages at risk of destruction and abandonment. What would happen, he began to wonder, if nobody intervened? The opportunity for such intervention presented itself when Fuyang, a city administered by Hangzhou, asked Wang to design a new cultural center. He agreed to work on the project, under the condition that he’d be allowed to choose a village to rehabilitate. After several reconnaissance trips, Wang set his sights on Wencun. But when the transformation was initially proposed in 2013, residents were up in arms. “We villagers didn’t support this at first,” Lang says. Zhou and Lang had built their own house and had been living there happily for 11 years. They looked at Wang’s blueprints for the new village and struggled to make sense of them. “We didn’t study architecture and didn’t know who Wang Shu was,” Zhou recalls. Cost was another concern. Zhou and Lang’s old house, on which they had spent much of their earnings, would be demolished, and they would receive 800 yuan ($130) per square meter in compensation. But for each square meter of the new house, they would have to pay nearly double that: 1,500 yuan. Just like we pray for the rain, we pray for Teacher Wang. The villagers also doubted that houses designed by a wealthy architect who knew little about their everyday lives would suit their needs. Several adjustments were required: Restrooms had to be enlarged to double as storage units, and kitchens modified to accommodate wood-burning stoves. One of many disagreements concerned the tangwu, a room traditionally built at the entrance of a house for social gatherings, similar to a roofed atrium. Villagers saw the concept as old-fashioned and unnecessary; instead, they wanted a room for watching TV. Wang remained adamant — the tangwu was the centerpiece of traditional countryside living — but eventually agreed to add a TV room. With the prospect of attracting tourism dangled like a carrot, and after several visits and persuasive talks by village officials over several months, Zhou, Lang and more than a dozen other households agreed to the project. By 2016, 14 new houses had been built on the upstream end of the original village, while dozens of nearby homes whose owners hadn’t agreed to the renovations were given new façades paid for by the provincial government for a unified look. Zhou, Lang, and their neighbors are glad they took the leap of faith; they praise their new homes as timeless. 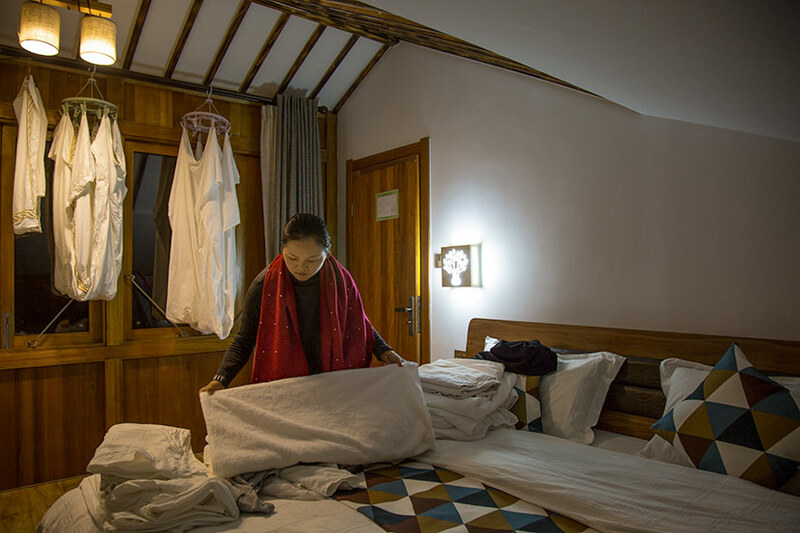 They say that they have come to love the tangwu they were so opposed to and are making a decent income by renting rooms to visitors — although it’s not yet enough to earn back what they spent on the traditional-style houses. 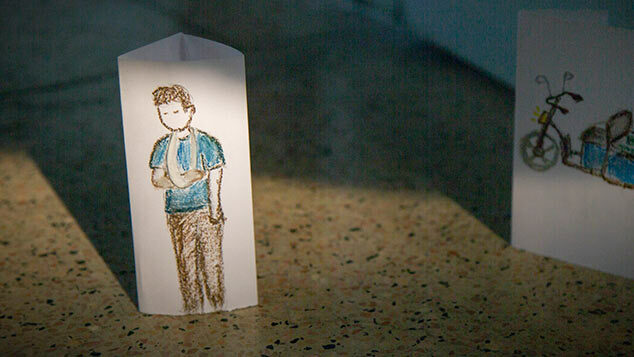 Zhou and Lang admire Wang, whom they call Teacher Wang — a respectful form of address in China — and eagerly talk about his visit to their home, when he complimented their interior decoration. “He is very laid-back and funny,” Zhou says. But the reaction to the village’s makeover hasn’t been all positive. Compared with urbanites, those living in the Chinese countryside are handed a raw deal in almost all matters, from access to education and health care to employment opportunities. By transforming only part of the village, which stands in stark contrast to the crumbling façades of the original buildings, Wang has created a deep divide in the neighborhood, critics say. Now, some feel a sense of inequality when they look to the neatly renovated houses in the upper part of their tiny village. Most are hoping that Wang will return, and that the whole village will be transformed. Wang and his wife say this was never their intention. The upper part was only meant as a prototype, using the principle of teaching the locals how to fish rather than catching all the fish for them. “I hired local people, especially masons. I tried to teach them how to carry on with the project,” Wang says. He admits that not everything went according to plan, but overall, Wencun was meant to be a pilot for future rejuvenation projects, although he declined to give further details. Huo Xiaowei, head of the Research Center for Heritage Conservation and Urban-Rural Development backed by Tsinghua University, believes that even if interventions like Wang’s fall short of saving whole villages, they are necessary and meaningful contributions. This appears to be the case for residents of Wang’s houses. 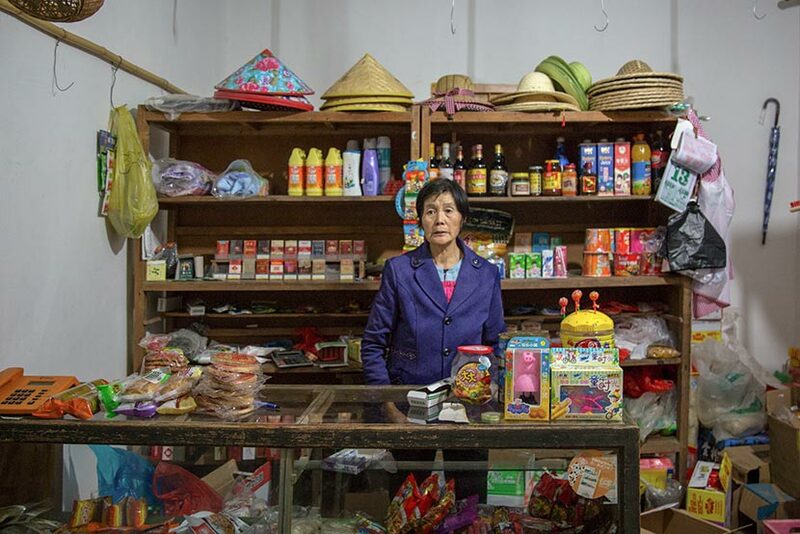 Meanwhile, Shen Xiaoyan, a 67-year-old woman who sells small plastic bags of sugar, cigarettes, and Peppa Pig windup toys at her little mom-and-pop shop, feels differently. She lives at the edge of the so-called lower village and says she goes to the “upper village” when she visits friends and family living just a stone’s throw away. The nicer buildings — and the prospect of bringing in more tourists — mean people like Shen Xiaoyan don’t want to live in their shabby houses anymore. Even the road in the upper village, she points out, was paved in a more professional way; the one in the lower part was built by villagers and is riddled with potholes and cracks. That, in addition to the cracks in her ceiling and the mold clinging to the cement walls of her home, could become a thing of the past if only Wang would return. Residents have sent several petitions to the local government, inquiring about plans for the rest of the village.